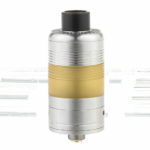 DEJAVU DJV RDTA Tank is an innovative rebuildable tank designed by Adrian Lo Dejavu from Malaysia with 2ml e-juice capacity and 24mm diameter. 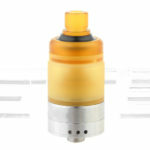 DEJAVU RDTA adopts a 24mm unique design build deck with 6 holes for dual coil building which is extremely easy to operate. It also adopts two modes airflow control system for smooth airflow and huge vapor: adjustable side airflow and opened bottom airflow. 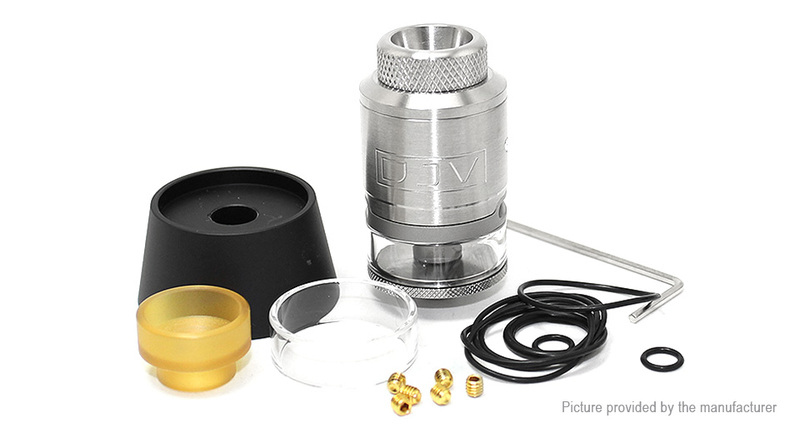 Together with two kinds of 810 drip tips, center spring filling system, and gold plated 510 pin, the DEJAVU RDTA will bring you a wonderful vaping experience.